I still had some papaya and mango, and just a bit of arugula left growing, and decided to make a salad. It's basically the same ingredients as froodles with just a few changes, over lettuce. Chop the romaine and arugula. Grate the papaya, mango, and carrot (I used my food processor). Add the onion and avocado on top, and sprinkle with some crushed pepper flakes. 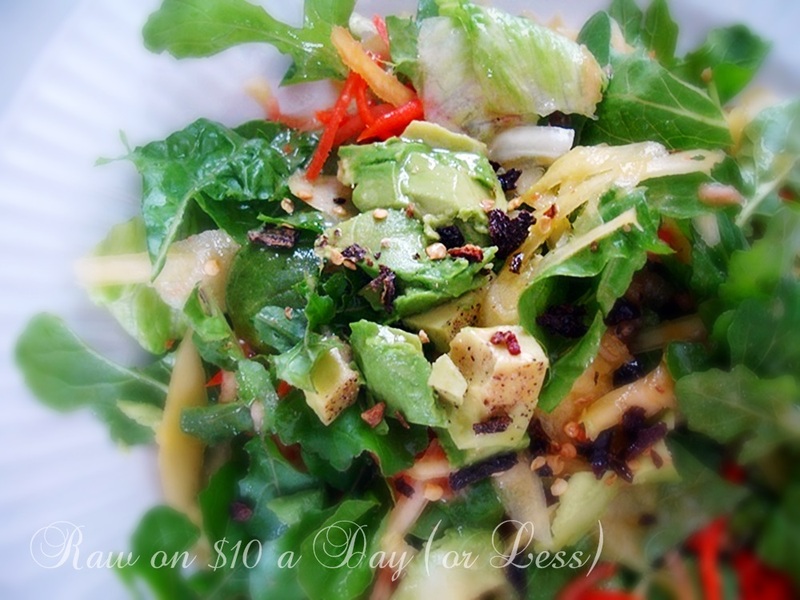 For the dressing, whisk together the lime juice, olive oil, agave, salt (to taste ... I used about a half tablespoon), and cayenne. Pour over salads and toss to coat.